A 28-year-old farmer from Nkoranza in the Brong Ahafo Region, Nicholas Affum has emerged grand winner in the maiden edition of the Vodafone Farmers Loyalty Awards which rewarded 20 most loyal Vodafone Farmers’ Club subscribers at a ceremony in Techiman in the Brong-Ahafo region. The grand winner received a hand tractor, a year’s scholarship for one child, and farming gear which included wellington boots, helmets, and other materials required for his work. The other winners took home tricycles, motorbikes, scholarships for their wards and farming gears. “I am excited about the honour done me by Vodafone Ghana. The award came to me as a big surprise as I never imagined my work could be recognized. The recognition and prize package will spur me on to succeed and achieve even more”. The Nkoranza based farmer encouraged more farmers to sign up to the Vodafone Farmers’ Club to experience the valuable services offered by Vodafone. “For many years, farmers have played a crucial role in our nutrition and economic growth. 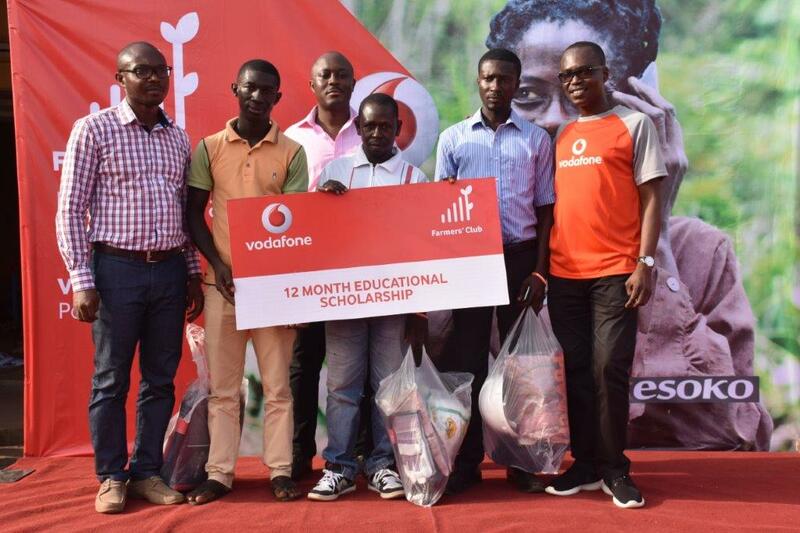 At Vodafone, we are proud of our contribution to agriculture through our technology-based engagement with farmers and after a year of success, we find it apt to acknowledge their indispensable contribution to Ghana’s economic growth”. The CBU Director said Vodafone will continually engage members of its Farmers Club initiative to improve their lives and farm yields, whiles rewarding them for their loyalty. 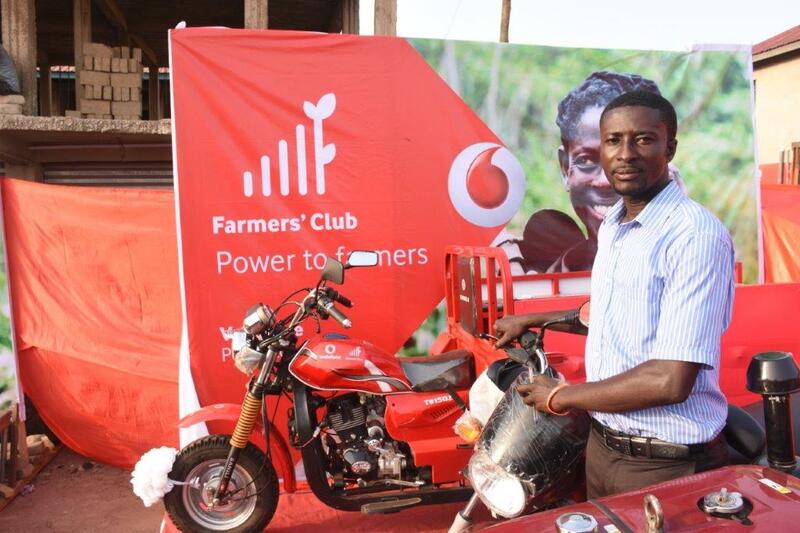 The Vodafone Farmers’ Club initiative was launched in Ghana in 2015 to offer a range of mobile services exclusively for farmers. Partnered by Esoko Ghana, an information service provider for agricultural markets in Africa, the club provides farmers with access to relevant information on improved farming practices, crop information, prices of commodities and expert advice, in their preferred language.